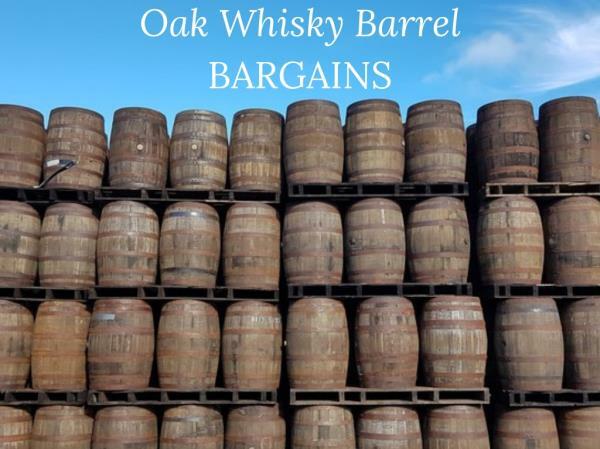 Roundwood of Mayfield Blog | Oak Whisky Barrel Bargains from £70.00! 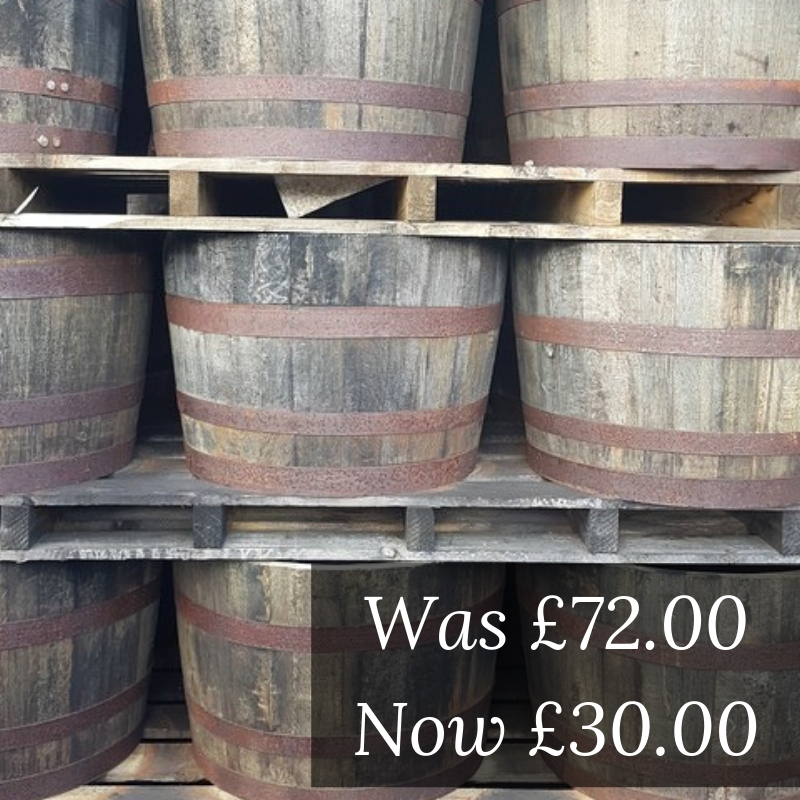 Derived from Scottish distilleries, these authentic features blend beautifully into any setting and are particularly striking when used as table tops, especially in Pub gardens! They are extremely sturdy and make wonderful, eye-catching features for your home, pubs, bars or restaurants. 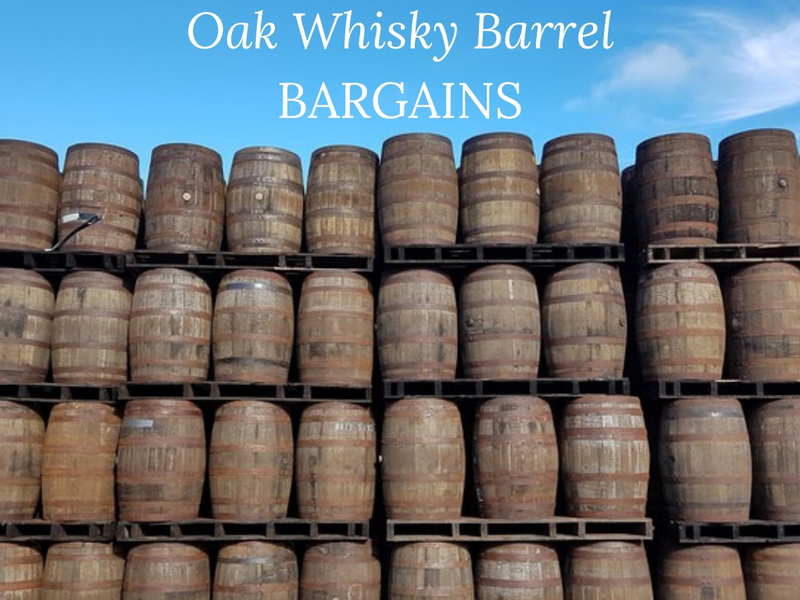 Fresh stock is due to arrive this week of our ever-popular, standard sized Whisky barrels which stand at 90cm tall. These vintage containers offer a sense of timelessness and are an all round, unique addition to your garden. These attractive Half Barrels are the result of cutting a single whole Barrel in half to form a spacious, distinctive container for all your planting needs. 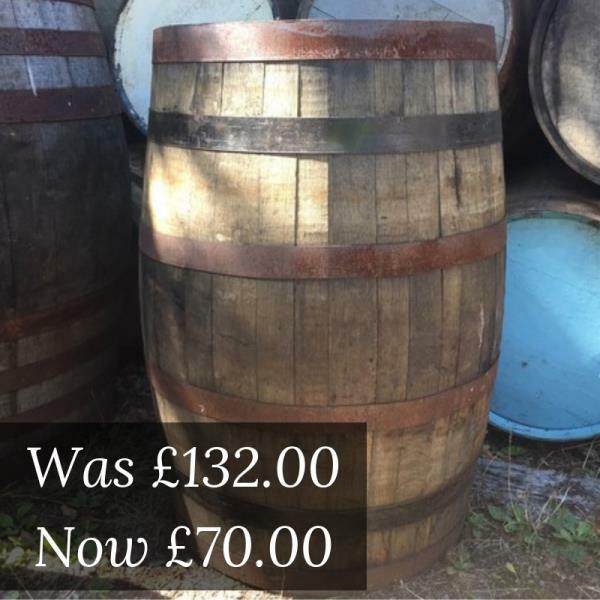 Originally priced at £72.00 and reduced to £35.00, they have now been discounted further to just £30.00 each! 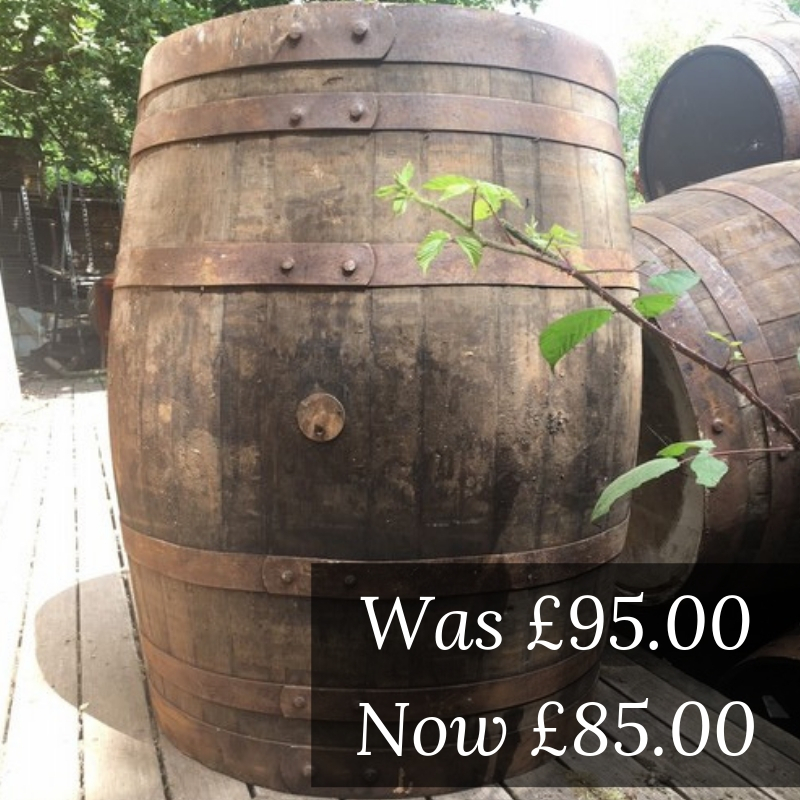 If you're looking for something a bit smaller, our Hogshead barrels are the perfect solution! Measuring 89cm tall, these casks are distinctively stouter - an attribute often favoured by Scotch distillers due to their ability to contain more. 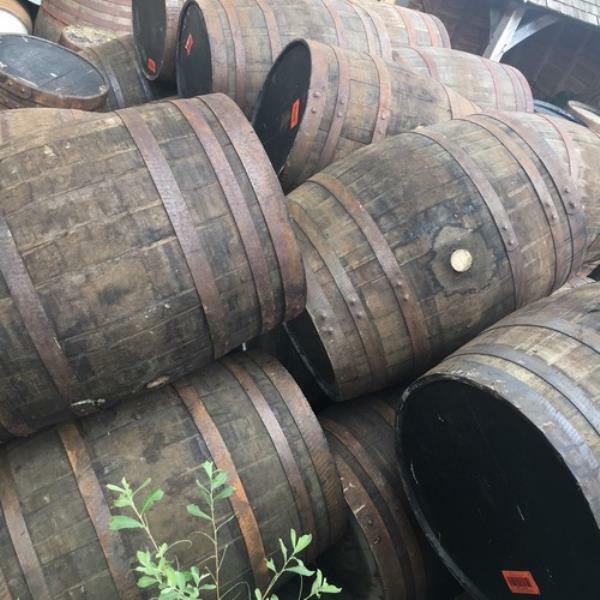 Stood at 103cm tall, our impressive Puncheon barrels are fantastically extra large. 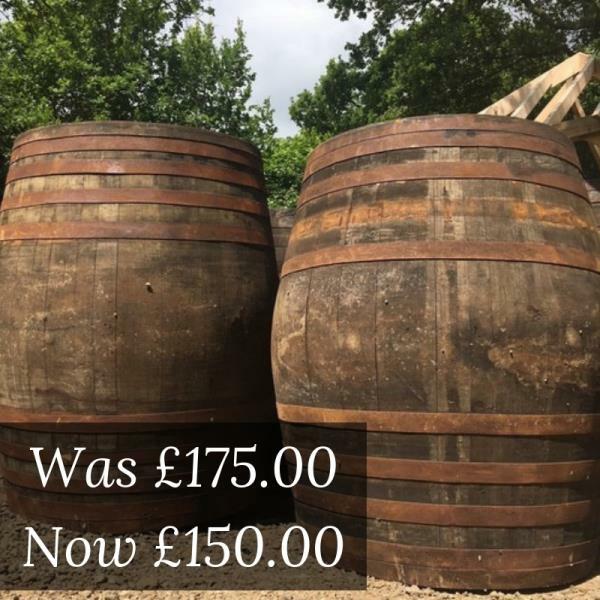 They are full of character and make beautifully rustic garden features and furniture as well as outdoor tables for pubs and bars. For any further information on these products, please don't hesitate to get in touch with the sales team. PREVIOUS POST:Fire Pits & Water Bowls from just £57.50!